The Ad-hoc Working Group on Paris Agreement (APA) formulated a contact group for discussions with Parties after resuming its plenary meeting on May 23, 2016. The APA had suspended its meeting on Friday on the issue of organisation of work. The contact group was formed after APA held deliberations with Parties which proposed the formation of a single contact group to carry out the work of the APA. The APA invited Parties to give their views on issues related to its agenda, such as structuring technical work for the implementation of the Paris Agreement and understanding what “homework” can be done to demonstrate clear progress at COP 22. The APA also decided that more focused informal technical consultations would be held with Parties. This work was to begin Tuesday morning. The contact group would re-convene on Wednesday afternoon to assess the progress till then and suggest the way forward. The APA is intended to provide guidance on the features of Nationally Determined Contributions (NDCs), give modalities, procedures and guidelines for the transparency framework and prepare for the entry into force of the Paris Agreement and the next Conference of Parties (CoP) to be held at Marrakesh in Morocco, among other things. In the contact group, Parties were invited to give their views and statements on agenda items. Jordan, while speaking on behalf of the Like Minded Group of Developing Countries (LMDC), expressed its views on operationalising of Equity and Common But Differentiated Responsibilities (CBDR) across the functioning of the APA. Stressing on pre-2020 action, it talked of ensuring concrete outcomes under APA. It also remarked that "broad guidance and features of NDC" should reflect Equity and CBDR. India talked of building on the existing framework of guidance and features of NDC. It also said that a lot of ideas reflected in the preamble of the Paris Agreement, including sustainable lifestyles, consumption, food security and climate justice which have a bearing on NDC, should inform guidance on NDCs. China held that the guidance on NDCs must be general and rooted in the guidance given in the Paris Agreement itself. While developing countries argued that the scope of the NDCs should be comprehensive and include mitigation and adaptation, developed countries like Switzerland, Australia and Norway wanted them to be restricted to mitigation. On the issue of transparency, Parties held that the new transparency framework must be built on the existing framework and draw on lessons learned from it. Some Parties, including South Africa, Indonesia, the US and Japan, agreed that an intersessional workshop, between now and Marrakesh, could be held which could discuss technical submissions from the Parties related to the transparency framework. 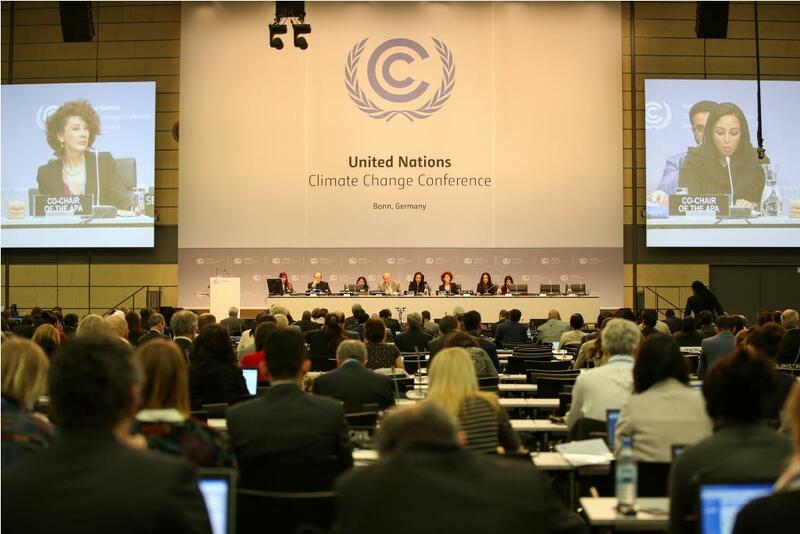 On the issue of global stocktake, Parties said it was the backbone of the Paris Agreement. According to Paris Agreement, the scope of global stocktake would cover mitigation, adaptation, means of support, and would be done in accordance with equity and in light of best available science. Countries like Jordan raised concerns about the timing, process and outcome of the global stocktake mechanism. Following the technical discussions on each agenda item, which will be held for more than a day, the contact group will re-convene Wednesday evening to assess progress.